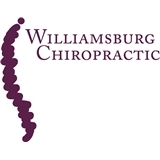 Williamsburg Chiropractic (Brooklyn) - Book Appointment Online! Serving Williamsburg and the surrounding area since 2002, Dr. Jared Hoffman is committed to bringing you better health and a better way of life by teaching and practicing the true principles of chiropractic wellness care. Our office utilizes state of the art diagnostic equipment such as digital x-ray and computerized thermography in order to locate the source of our patient's health concerns. At Williamsburg Chiropractic, we recognize that everyone deserves to live their life without limitations and regain their health, naturally, without the use of drugs and surgery.